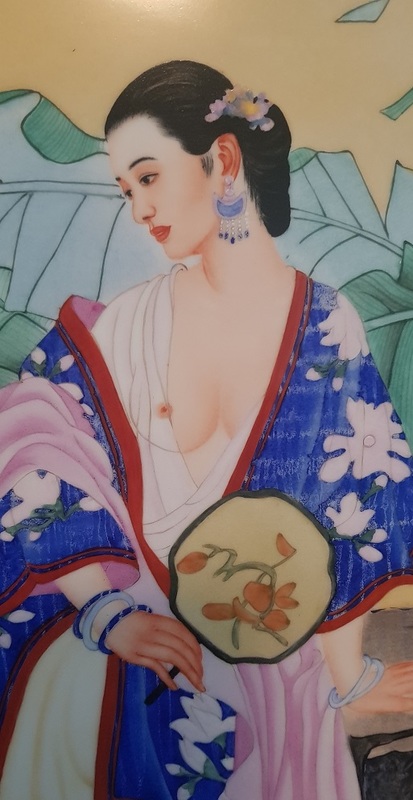 i have this large 20th century plaque, it measures approx 1 meter wide and 56 cm tall, this is porcelain and the decoration is quite finely painted especially her Face and hands, the calligraphy is fine too. i know this is 20th century and would hazard a guess at c1970s? 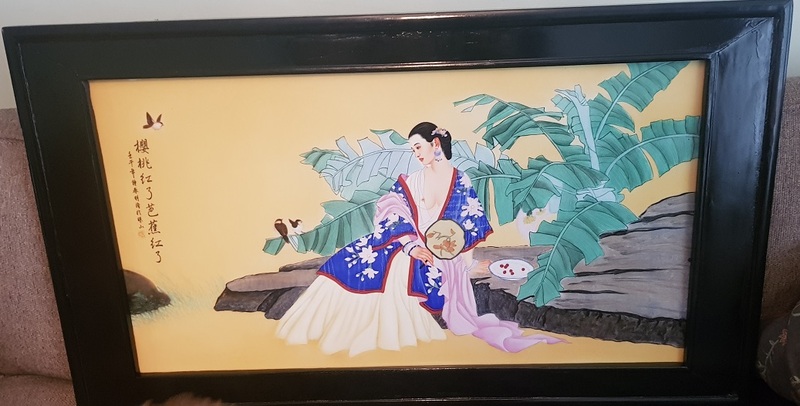 i was just wondering if anyone knew the age, or could translate the calligraphy. Or just an Opinions on the piece.